Candy Land. Dixit. Dominion. Playstation. NES. SNES. Switch! 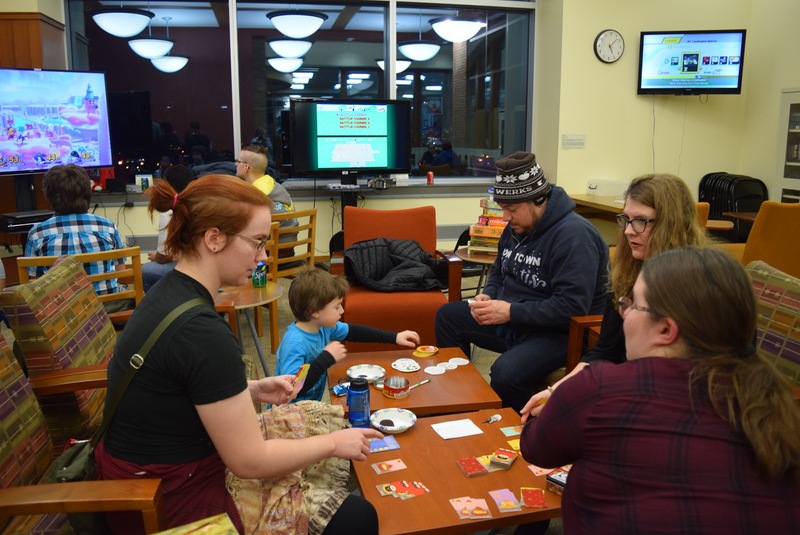 This is just a small sample of what students can find at Game Night, held on the third Tuesday of the month in the first-floor lounge of the Library and Learning Center. 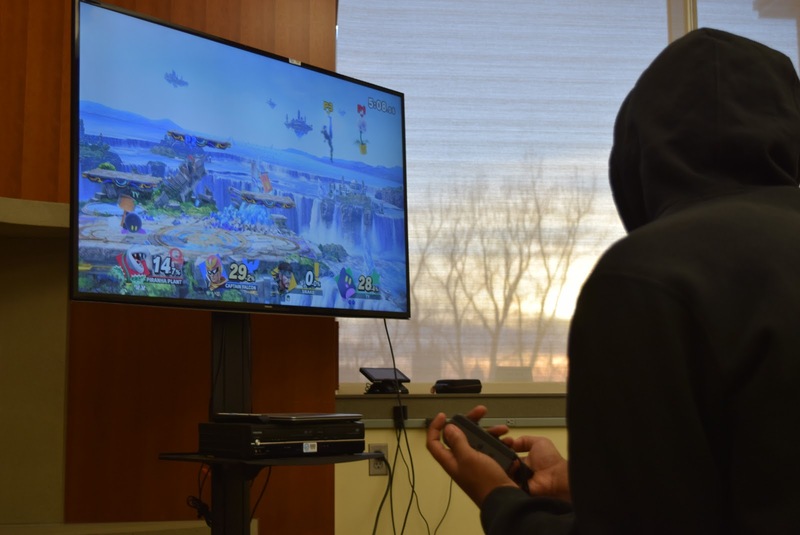 Games and snacks are free for Metro State and East Side community members from 4-7 p.m.
For four years, the Metro State Library has co-hosted the event with the Dayton’s Bluff branch of the St. Paul Public Library. Most months, 20-30 people show up to try out the libraries’ collections of video games and 80-plus board games. Kids face off with parents. Students against faculty. Hardbound book borrowers versus nimble digital downloaders. And the host librarians? Not mere observers—they’re gamers too. Metro State librarians Zorian Sasyk and Jennifer DeJonghe serve as point people for the monthly gathering. 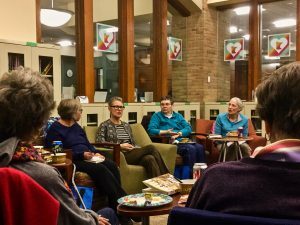 For them, Game Night is about living the library’s mission to collaborate, engage and be inclusive. 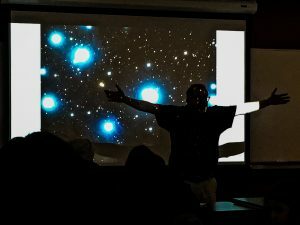 They work with faculty and organizations on campus to get the word out about the event—and bring fun and games into classrooms. DeJonghe said the library worked with community faculty member Debra Ricci to offer a noncompetitive game on the last day of her class. They are talking with Lavender Bridge, Metro State’s LGBTQ+ student organization, about hosting a “GAYme” event this semester. 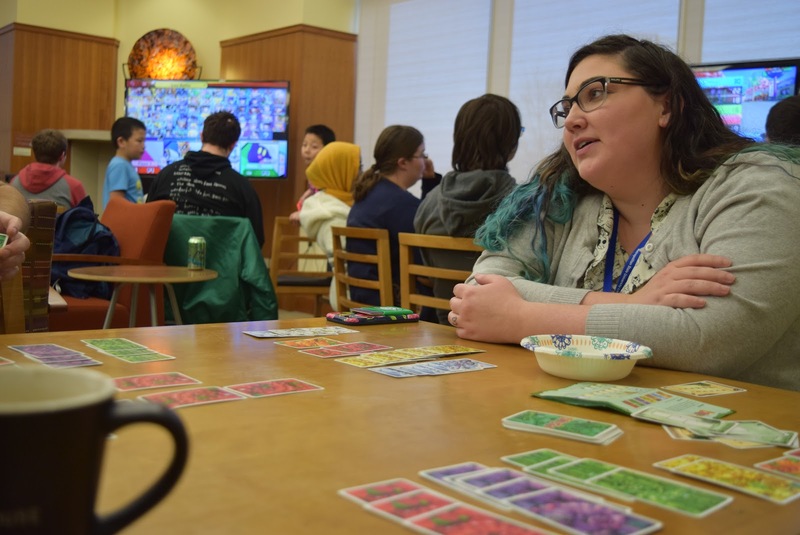 When Metro State hosted the Midwest Conference on Asian Affairs annual meeting in October 2018, library staff brought games from Asia to the Great Hall. On Game Nights, every tabletop in the lounge is covered in colorful cards, playing pieces and pawns. Every screen is ablaze with avatars. Every seat is taken. “It’s nice to have a place to come to,” said one dice-rolling community member. 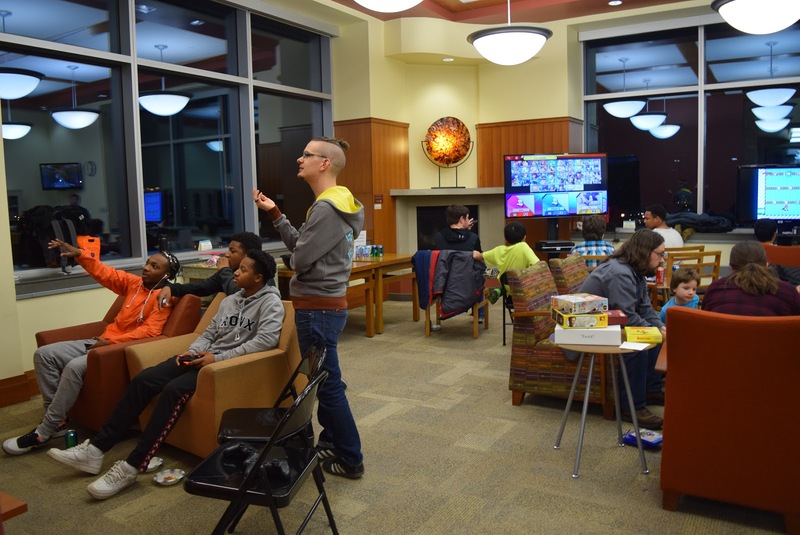 “I was looking for more social things to do, and the people who run it are great,” said Samara Garrett, a computer science major attending a recent Game Night. Now she’s a regular. Students can use their Metro State ID to borrow from the library’s extensive collection of board games. Visit the help desk on the first floor of the Library to view the list of available games. For more information on Game Night, see metrostate.edu/calendar/game-night-at-the-library-18991. The next Game Night is Tuesday, April 16. A spin-off event focusing on board games will be held Wednesday, March 27, 4-7 p.m. in the Student Center, room 201.